Residents of the City of Saratoga, or people who work in Saratoga, are encouraged to join the Saratoga Community Emergency Response Team (CERT). To join, first you must be trained by the Santa Clara County Fire Department at a CERT Academy, be sworn in as a city Disaster Service Worker (DSW), and be issued a DSW card by the city. 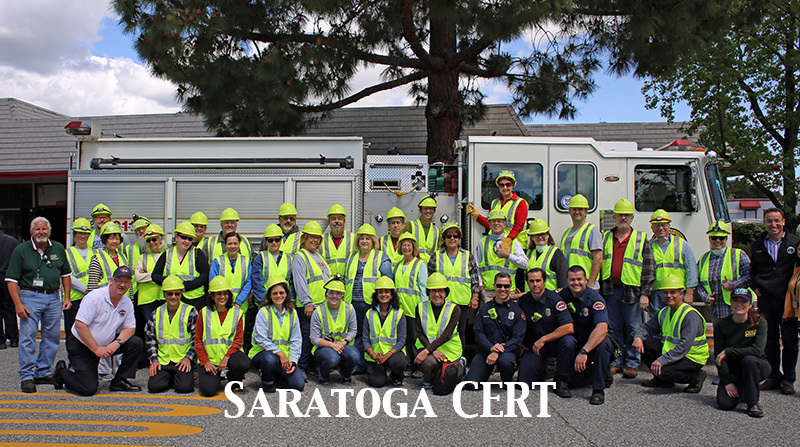 Members of Saratoga CERT are expected to attend CERT activities, drills, meetings, and ongoing training. If you have questions, please contact the County Fire Department or use the form below to contact Saratoga CERT directly.